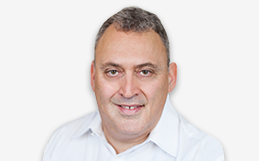 Yaron Ravkaie, is our Chief Executive Officer since January 16, 2016. Prior to joining our company, Yaron served during 2015 as the Chief Business Officer of RR Media Ltd. (NASDAQ: RRM). Prior to serving at RR Media Ltd., Yaron served as the President of the Mobile Financial Services Division in Amdocs (NASDAQ: DOX) for two years executing an M&A and a successful post-merger integration with a global organization offering mobile payments and mobile commerce. From 2008 through 2012, Yaron served as President of the AT&T division, with a $1B P&L, the largest in Amdocs, running sales, client management, strategy, projects, programs, long-term outsourcing and managed services activities.